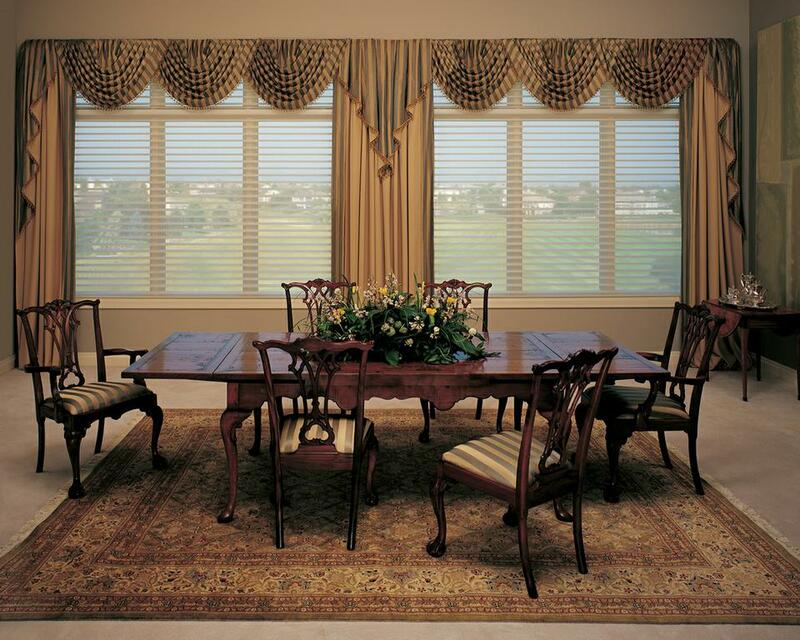 TOP TREATMENTS…are the most varied and striking of all window treatments, breaking into three categories – VALANCES, SWAGS and upholstered CORNICES. 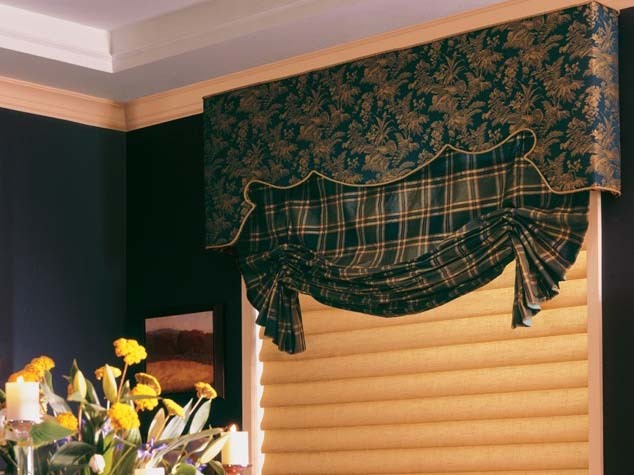 Top treatments while always decorative, are often used to hide unsightly traversing drapery rods or shade headrails. 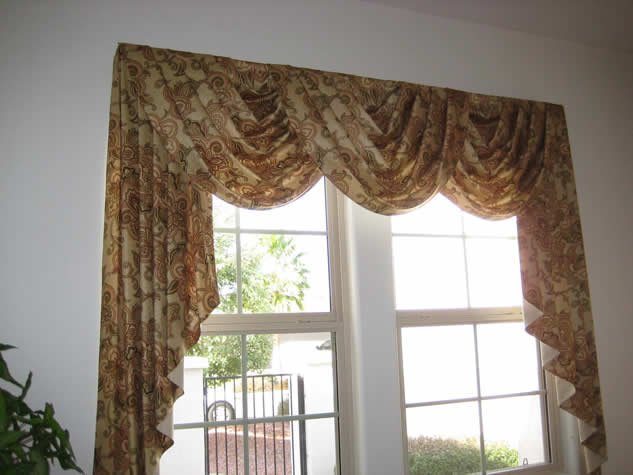 A favorite complement with drapery panels, any of these superb accents can stand alone adding charm and interest to any room. 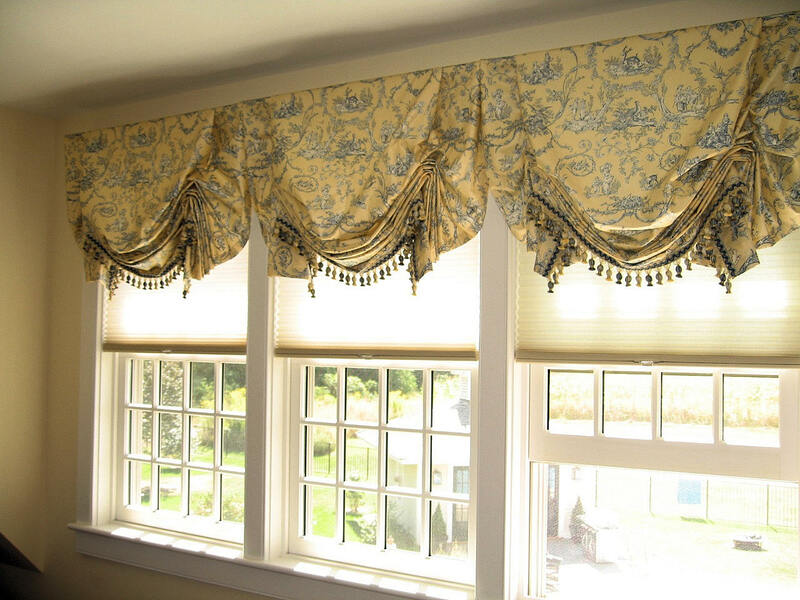 ACCENTS and TRIMS …Custom Window Treatments’…stunning Trim (Passementerie) collections are always timeless and add luxury to any custom window treatment or bedding ensemble. We bring you the latest and most popular styles from around the globe including beautiful tassels, bands, fringes, beading and fabulous laces. 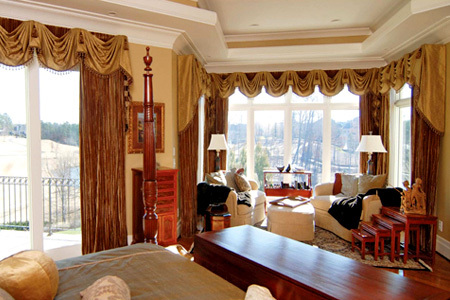 Window Pros by Terri Fitzgerald has been creating fabulous Custom Window Treatments and Custom Top Treatments for discerning Clients in Washington DC , Northern Virginia , Fredericksburg & Central Virginia , and Richmond VA for over 10 years.